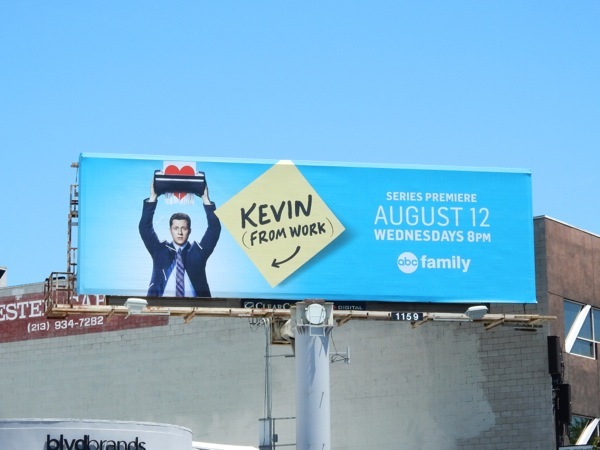 TV WEEK, and the working week, continues with ABC Family's new comedy, Kevin from Work. 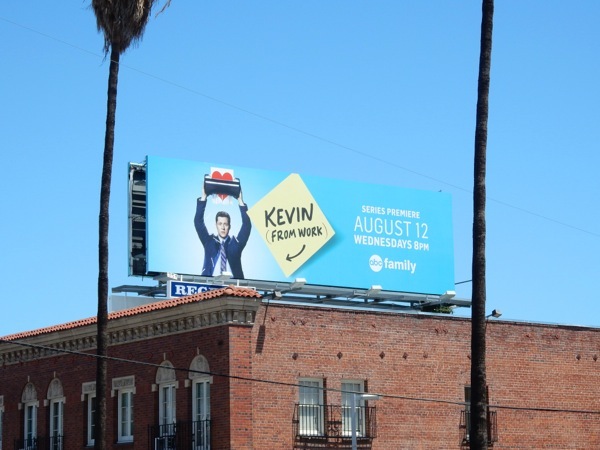 Noah Reid stars as the titular 'Kevin' who declares his undying love to his coworker Audrey (Paige Spara) in a letter thinking he'll never see her again when he accepts a job overseas. Things don't go exactly to plan as the opportunity falls through and he has to return to work and face the consequences. 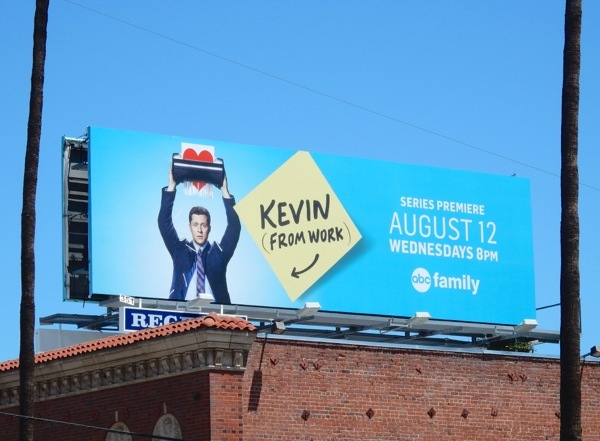 These post-it note series premiere billboards for Kevin from Work were first spied along Ventura Boulevard in Sherman Oaks on July 21, then later along Sunset Boulevard on July 24, 2015. 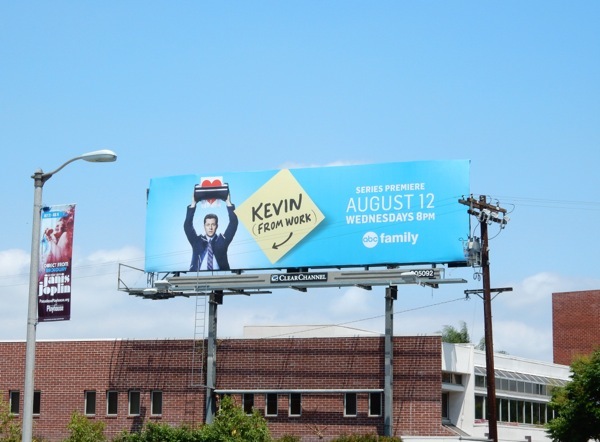 If you're a fan of ABC Family, be sure to also check out these Stitchers season one billboards, The Fosters series premiere billboards and these Jane By Design billboards. 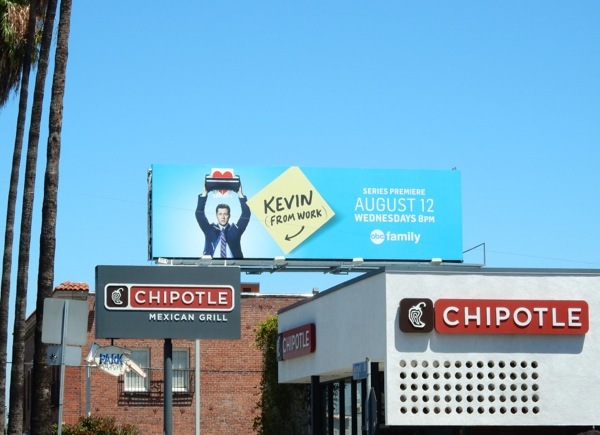 UPDATED: Here's another billboard for the new series snapped along Beverly Boulevard on August 4, 2015.